Every month, Dr. David Oslin receives a list of about 50 local veterans considered by the U.S. Department of Veterans Affairs to be very high risk for suicide. 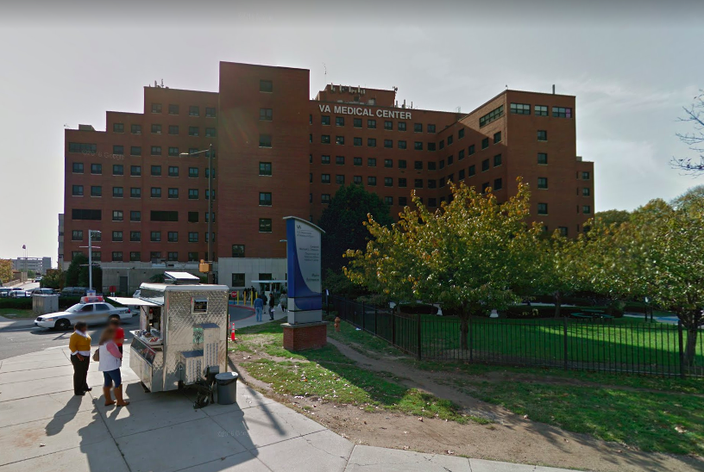 The list includes veterans identified, in many cases, by staffers at the Philadelphia Veterans Administration Medical Center. But it is generated by a computer program that analyzes health records and uses an algorithm to determine the veterans most at risk of suicide. The Recovery Engagement and Coordination for Health – Veterans Enhanced Treatment program, known as REACH VET, was fully implemented across the VA about 18 months ago following a brief pilot program. It's among the latest strategies to combat the longstanding issue. "This idea of being able to predict high-risk patients is on solid ground," said Oslin, the Philadelphia VA's chief of behavioral health. "What the VA has done that's been novel is turn that around and put it into clinical practice." Researchers have found that predictive models can more effectively identify at-risk veterans than clinical assessments. The administration built its own predictive model as part of a study published in 2015. It served as the impetus for the REACH VET program. Over the years, the VA has bolstered its mental health services and added programs for suicide prevention. But the suicide rate among military personnel has remained relatively steady. "Veterans have a higher rate of suicide compared to the general population," Oslin said of the phenomenon. "That, in and of itself, makes it a special topic to us, something that's very important for us to focus on and take aim at. It's just a tragedy – any death by suicide." 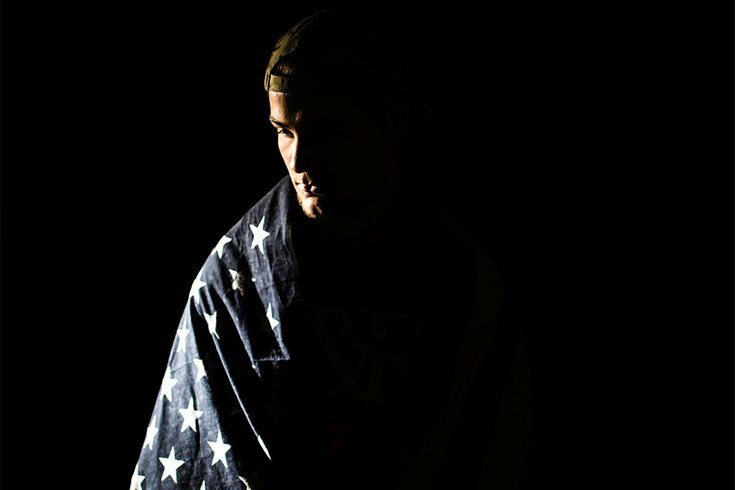 The unadjusted veteran suicide rate – 30.1 per 100,000 – is more than double the rate for the rest of the United States population. Veterans accounted for 14 percent of all suicides in 2016, but only comprised 8 percent of the population. In 2016, 6,079 veterans killed themselves, according to the latest VA National Suicide Data report, updated in September. That marked a slight drop from the prior year, but the annual total has hovered around 6,000 veterans for more than a decade. And the numbers are particularly troubling among the youngest veterans. For every 100,000 veterans between ages 18 and 34, 45 killed themselves in 2016. The Corporal Michael J. Crescenz VA Medical Center in Philadelphia. Under the REACH VET program, a computer algorithm digs through millions of patient records and weighs 60-plus variables to determine the 0.1 percent of veterans with the greatest vulnerability. The variables include risk factors like psychiatric admissions, mental illnesses, homelessness, previous suicide attempts and chronic health problems. "It's a mix of social, medical and psychiatric risk factors that were basically developed using machine-learning techniques from our engineering colleagues," Oslin said. Once a list is compiled, VA mental health or primary care providers reach out to the veterans to check on their well-being, review their condition and revise treatment plans, if necessary. The vets are informed that they have been identified as having high-risk factors for suicide, Oslin said. Providers stress that they want to make sure veterans are getting the care they need. "We want to make sure you know we're here for you," Oslin said. "To me, it's that personal touch and connection that has the power to reduce the risk for somebody." The VA has yet to release information about the effectiveness of the REACH VET program. But Oslin said "it's strikingly apparent" that the individuals listed each month are "very ill and at-risk individuals." "I think the REACH VET is very, very intriguing to us and has been spot-on in terms of identifying people who could benefit from getting a fresh look at their care," Oslin said. "Locally, we've been very impressed at how well this has worked to identify some veterans." The program joins other suicide prevention efforts made by the Philly VA, including lethal means reduction, which includes both the distribution of the antidote Naloxone to veterans at risk of opioid overdose, and outreach on gun safety. Free, confidential support is available to all veterans at all hours. Veterans in need of help – or people concerned about a veteran – can call the Veterans Crisis Line at 1-800-273-8255. Press 1. Or they can text 838255. Guns were used in nearly 70 percent of veteran suicides in 2016, according to the VA. By contrast, firearms only were used in 48 percent of all other suicides. "We know that that's a risk factor," Oslin said. "We know that veterans are much more likely to die from firearms than somebody who dies from suicide in the community. Their choice often is much more lethal than somebody in the community who is a non-veteran." The VA also provides therapy for people with chronic suicide risk in which suicide is treated as an illness. Oslin said the services differ from others that focus on treating issues related to suicide, like substance abuse or post-traumatic stress disorder. The REACH VET program complements those efforts. "We're not perfect at preventing every suicide – nobody is," Oslin said, but "it seems like a program that has some real potential for helping."